Alabama Bloggers: Disney Live! Huntsville - Giveaway, Discount Code! Disney Live! Huntsville - Giveaway, Discount Code! 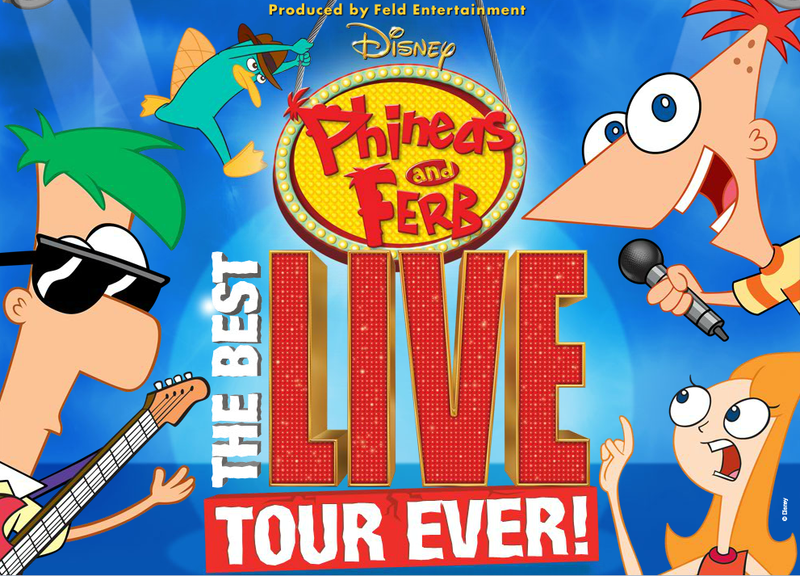 Disney's Phineas and Ferb Live! Is coming to the Von Braun Civic Center on March 16! With showtimes at 3:30 and 6:30, your Phineas and Ferb fans are sure to be thrilled with adventure and excitement. If you would like to go, I have two pairs of tickets to give away to the 6:30 show! Simply comment on this post to enter. Follow Alabama Bloggers on Twitter. Like Disney Live! on Facebook. Be sure to leave one comment per entry for your extra entries to be counted! Winners will be randomly chosen on Monday, February 20 and announced on Tuesday, February 21. Best of luck! But if you don't win, I also have a discount code available to everyone - enter ALBLOG at Ticketmaster or at the arena to get $3 off on all premium seating. Discount not applicable to premium tickets or day of show tickets. Phineas and Ferb is a favorite here. Would love to win. Follow AL Bloggers on Twitter. 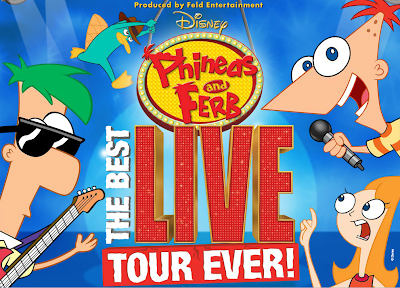 I would love to win tickets to see Phineas and Ferb for my 5 year old. I live in Athens and have two awesome grandsons that I would LOVE to take to this show! How will you contact the winners?